Baby footie solid color, inserts in Scottish fabric. 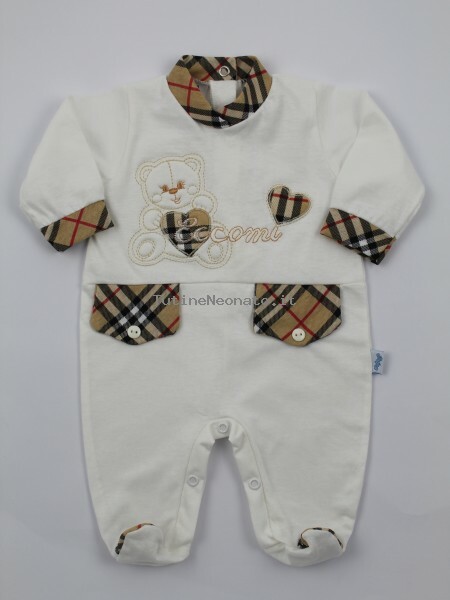 On the front embroidered a baby bear sitting with two hearts in fabric and the inscription "Here I am", apply two fake pockets with button. Sizes 3-6 months. Opening in the back and to the horse with little buttons with pressure.